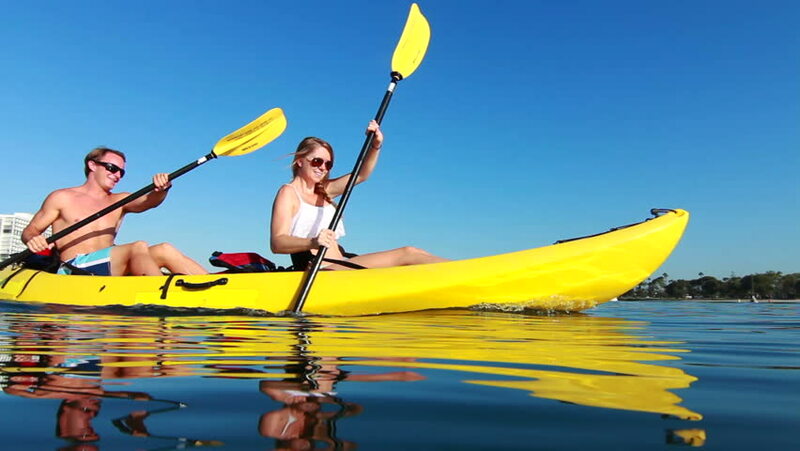 Young Couple Kayaking In Ocean On Sunny Summer Day. hd00:12Young Blonde Surfer Boy Stand Up Paddling. Summer Fun Family Vacation.